Clay Tryan, at just 35 years old, has been getting billing as one of the three best headers to ever play the game. In 13 trips to the WNFR, the cowboy from Billings, MT, has won two world championships and broken several earnings and arena records. 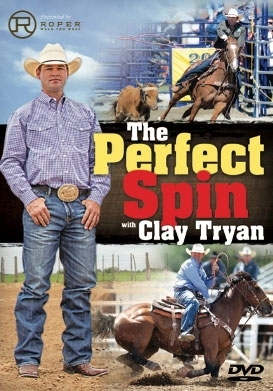 For the first time ever Clay is releasing his techniques in this training DVD. Some of the things you will see inside are groundwork, scoring, mental prep and Clay's swing. 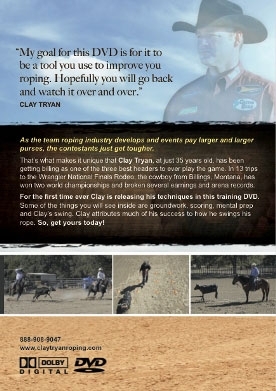 Clay attributes much of his success to how he swings his rope.